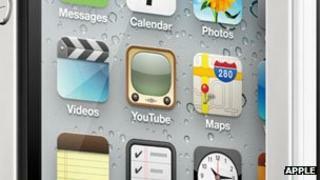 The app for video clip service YouTube is missing from the next version of Apple's iOS6 operating system. Apple said the app had been removed because its licence to produce the program had expired. The Apple-made version of the YouTube app has been a staple on the iPhone's iOS since the device was first launched in 2007. Apple said Google was developing its own version of the app which should appear soon. The fourth test, or beta, version of iOS6 was released by Apple on 6 August. The final public version is expected to be ready in September prior to the rumoured launch of a new iPhone. Soon after the software was released many tech news sites noticed it lacked the YouTube app, even though the Apple-made version of this program has been available for years. Not all YouTube functions have disappeared from iOS6 beta, said Apple in its statement, as users can still play video by visiting YouTube with a web browser. They can also still upload films to YouTube from a phone or tablet. Financial terms of the licensing deal that let Apple create the YouTube app have not been disclosed. Apple would not be drawn on whether it would be replacing the YouTube app with another pre-installed video sharing service. It has already taken a similar step with Google maps, as iOS6 will use its own mapping app. No date has been given for when Google's version of the YouTube app will appear. "This is all about Apple removing Google from its operating system completely," said Stuart Miles, founder and head of tech news site Pocket-lint. He wondered if the end result of this strategy would be for Apple to drop Google as its default search engine on iOS. "In a couple of years you will just ask Siri for results and you will not care where that comes from," he said. Gaining control of the YouTube app was good for Google, he said, because it let it update and change the program as needed. It would also likely mean that ads would appear on clips. "There's no reason why you won't start having pre-roll adverts," he said, "which is going to mean a worse experience for users."